ADA IAPLC 2013- Results are out! "After The Snow" rank 96. 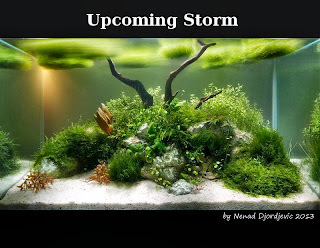 This scape is getting ready, so I would like to say something more about this experiment. 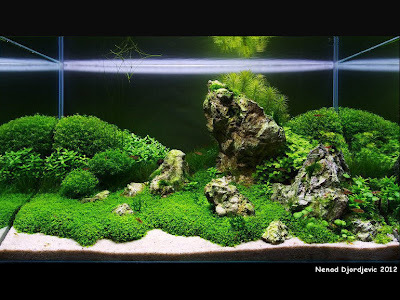 Firstly, the substrate for this setup was very lite. 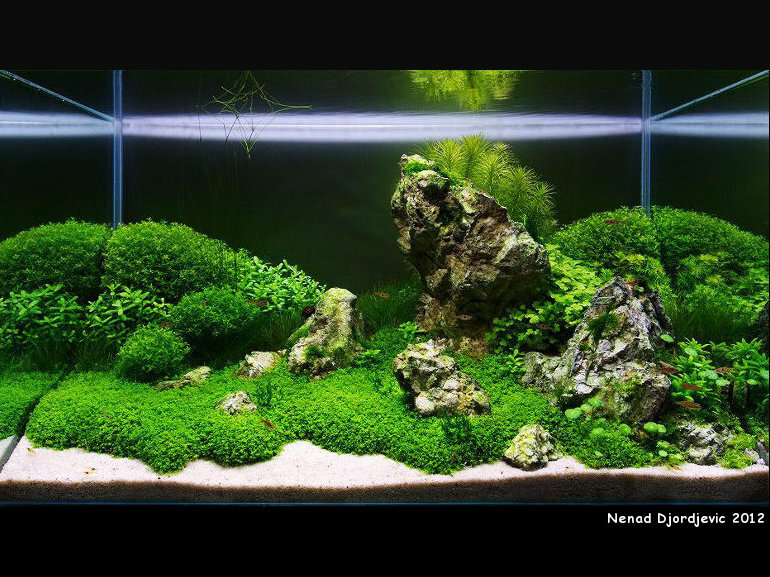 It is based on JBL Aquabasis plus with small amount of Zeolite and Active Coal ...all covered with JBL Manado. To be more interesting, 100 l of watter surface is enlightened by 200W(150W MH 8000K + 2x25W 6500 K) at 35cm above sea level :) Photoperiod on the start was 1h (50W) + 3h (200W) + 1h (50W), and 2h + 4h + 1h after two months. Circulation is 12 times of the tank volume, and I did not tried to save some CO2 bubble for the next tank (safety for the animals first!). 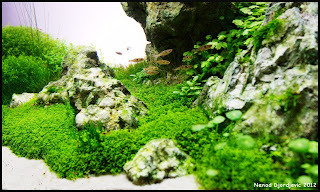 Small starting plant biomass in this conditions resulted in fast Rhysoclonium growth (for the first time in my tank!). It is VERY boring and ugly species of algae!!! I was very close to listen to the Farmer and test his theory about "complete darkness", but the reading a bit more, i choose to increase the levels of NO3 and PO4. In ten days, the boring problem was gone. Of course, I increased the levels of microelements. My choice for fertilizers this time went to EasyLife palette. 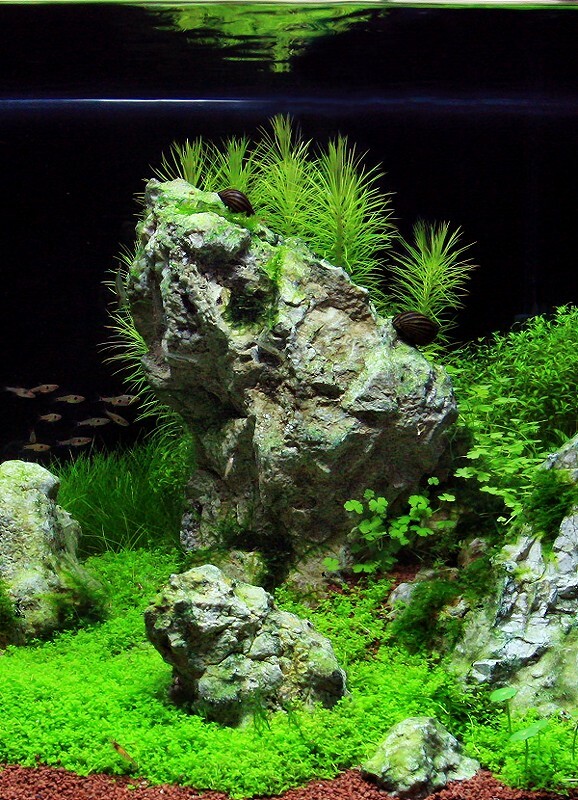 I tried new EasyLife AlgExit (Against Green Algae) to fight Rhysoclonium, but the boring inhabitant remains. 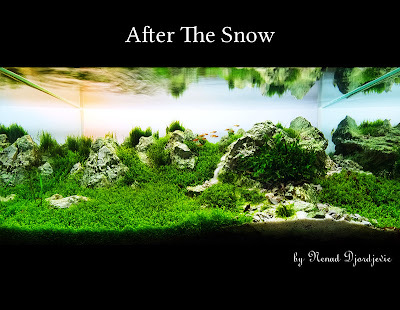 On the other hands, the rocks in my tank become white although the light was very strong. 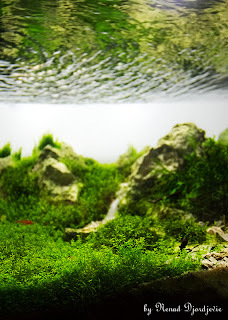 At the end, I think that this is a good product for all the Iwagumi lovers. I expect to see final photos in about twenty days, and in the mean time you can enjoy this one. This time I am showing you a work that came as togethers effort of my friend Aleksandar Stojanovic and myself. 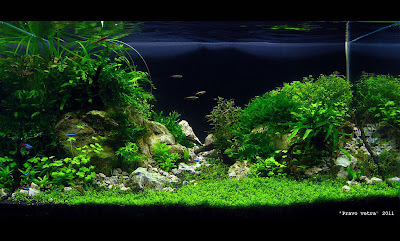 For this scape we put great number of different plants in only 112l tank... The aquascape is being built for 2011 AGA Aquascaping Contest. I hope you like it! 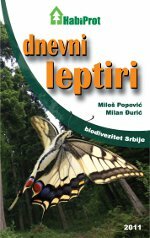 I am proud to present you my brother´s book about Serbian butterflies. The complete book was written in simple, non-scientific language. 27 photographers contributed with their photos, and many beginners gave their useful suggestions after testing electronic version of the book. It should be emphasized that Rufford Foundation helped us by financing field surveys. They presented superb opportunity to gather many great photos for the fieldguide. Embassy of the Netherlands (MATRA-KNIP programme) and the city of Belgrade (Secretariat for nature protection) financed book printing and promotion. You can order the book here, or download electronic version here. 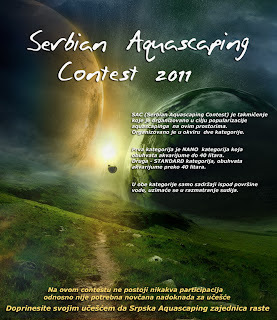 Serbian Aquascaping Contest is national competition that aims to promote Aquascaping in our country. You can find more about this competition here.